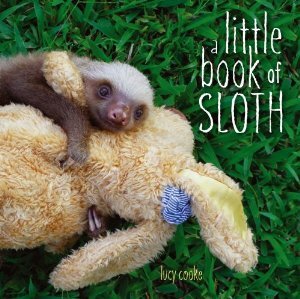 This is a new book about baby sloths. Of course, all of us liked sloths before sloths were cool. (I wrote a book with a sloth on the cover way before this one.) But it's not their fault they're popular, you know? So I'm betting you still want a book full of baby sloths. You can read more about it here. 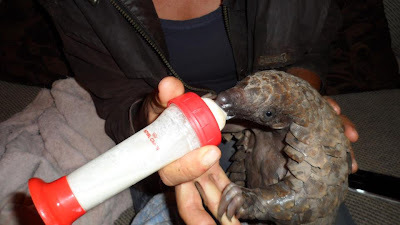 Here's something you don't see every day: a baby pangolin drinking from a bottle. This orphan named Fikile is being raised by the Tikki Hywood Trust in Zimbabwe (photo from their Facebook page).